Blow sweet kisses to each other whether you are near or far with our romantic pillowcase set. 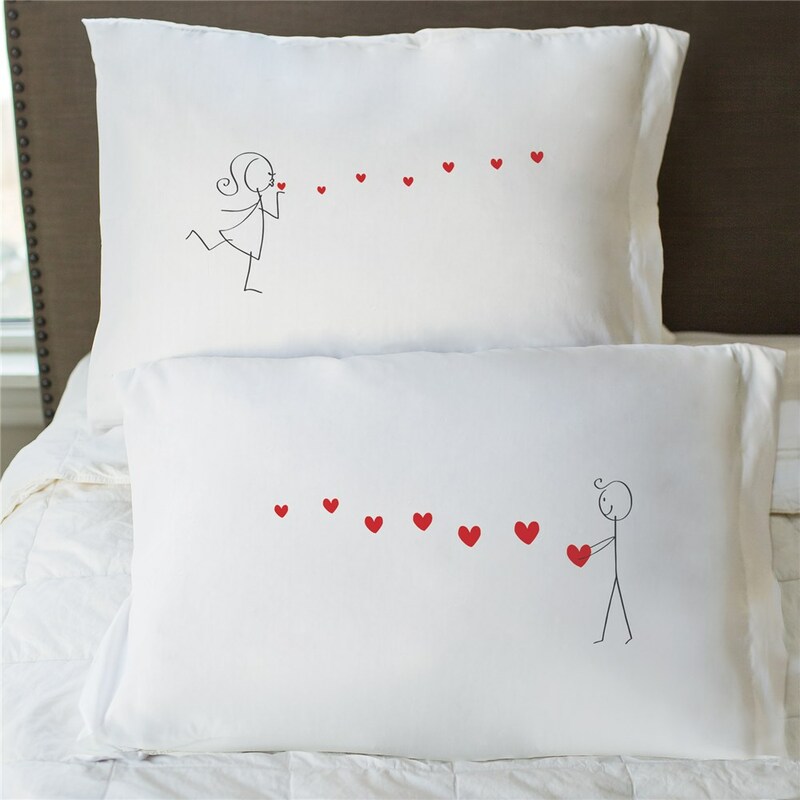 This Blowing Kisses Pillowcase Set is a delightful addition to the bedroom decor of any two people in love. Our pillowcases are made of a strong, durable 55/45 cotton/poly blend. They are made in the USA and will fit any standard/queen sized pillow. They measure 20” x 30” with 180 TPI. Pillow not included. Machine wash/dry. It wasn't bad, pretty nice, but the image was smaller than I expected and it was more of a iron on image on the pillowcases instead of printed image. Purchased these for one of my anniversary gifts. My Wife loved them.